When battling threats in your environment, time is of the essence. Today’s attackers can compromise systems within minutes of an attack. 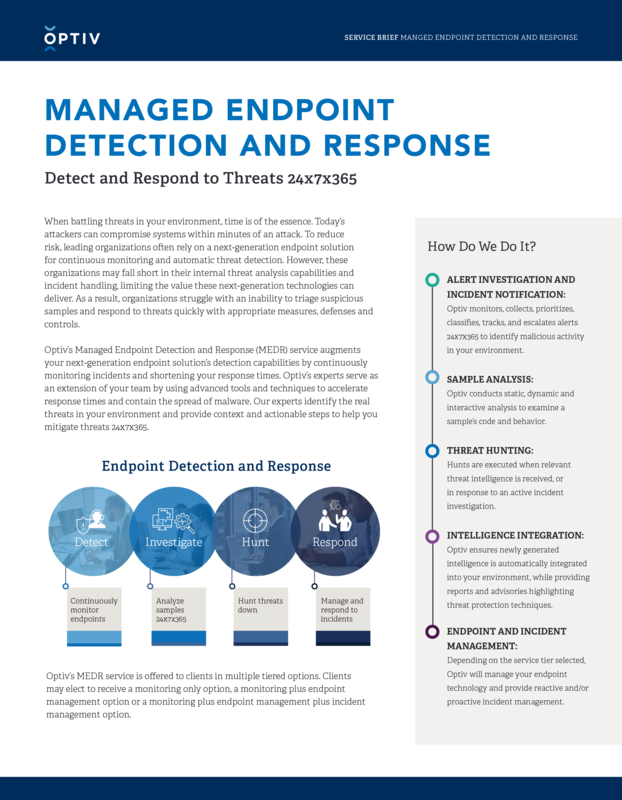 With Optiv’s managed endpoint detection and response service, our expert threat analysis team uses advanced tools and techniques to help accelerate your response times and contain malicious code. Our experts help identify the real threats in your environment and provide content and actionable steps to help eliminate threats 24x7x365.